The Farm Tour with Kumprahan SuperMerkado kicked off with an Assembly at Coffee Bean in I2 building, Cebu IT Park, 8:00am. 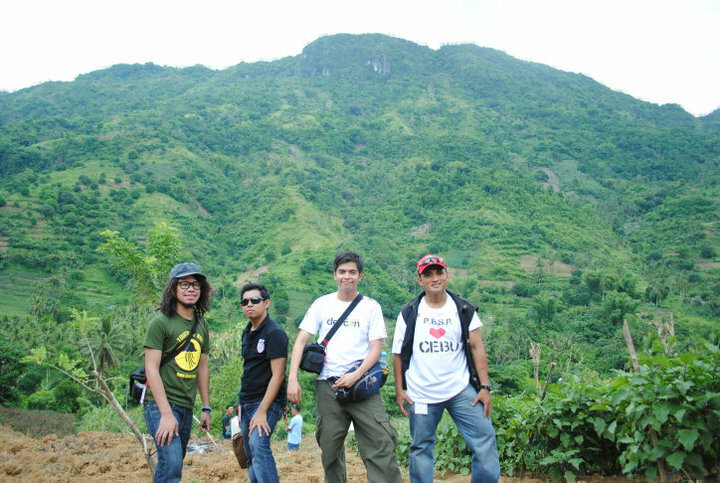 Tri-Media and bloggers waited for the transportation for the Farm Tour last July 10, 2010 at Sitio Cantipla, Tabunan, Cebu City. Most of the media where in one van and we had to wait for another vehicle to take us there. Unknowingly we were hitching a ride with Jessie Cubijanoa [OIC, Philippine Business for Social Progress (PBSP)] and with Jon Ramos (Chief Organizer, Kumprahan SuperMerkado). We had an interesting talk with them all throughout the tour in which I also learned many things! He explained to us that the project of PBSP is supported by the government and this acts as a Quasi-business as a form of social development and entrepreneurship. 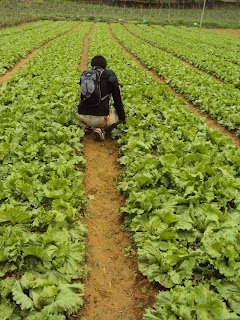 The Kumprahan SuperMerkado aims to help both the farmers and the consumers meet so that there will better savings..
We walked, hiked, traveled off road and had plenty of fresh air for our lungs. I was with with Mark, Evanjohnn, and Jorich where we were hikers/reporter/photographers/Dora the explorers for a day! Tabunan Forest right in front of me.. The Tabunan Forest is the last Virgin forest of Cebu ~I learned this from the Photoblogger. There you may see some uniquely-old-cebu trees and rare species of birds and other animals as well. 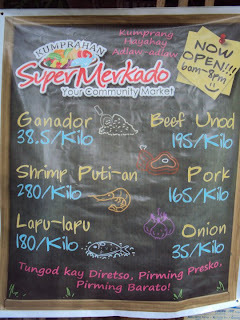 If you are health conscious then the Kumprahan SuperMerkado will be to your advantage! This is where one can buy organic vegetables in Cebu, for not only you get it cheap but you get it fresh without any possible contamination or damage through transport of middlemen. Now imagine buying your onions at 35php a kilo. You may say "You're Kidding, right?" Throuh Kumprahan SuperMerkado and PBSP, this has been made possible. The problem with how the business model works for the consumer-distributor is that the product becomes too expensive after passing through “middlemen”. Even more disadvantageous is this model to the farmers which is why you come to wonder, “Why are farmers in the Philippines poor?” This whole new model of business is not really new, it has been adopted by other countries successfully, so why can't we? Through the Kumprahan SuperMerkado, it will help the farmers progress and also encourage consumers to purchase fresh Organic Vegetables in Farm Gate prices. Sir Jon Ramos explained to us while he was driving, his life during his college days when he had some sort of business being a trader of vegetables in Carbon. He started off by asking us what quasi meant and then he started talking about his quasi-business model is also inspired from the practices of farmers from USA. 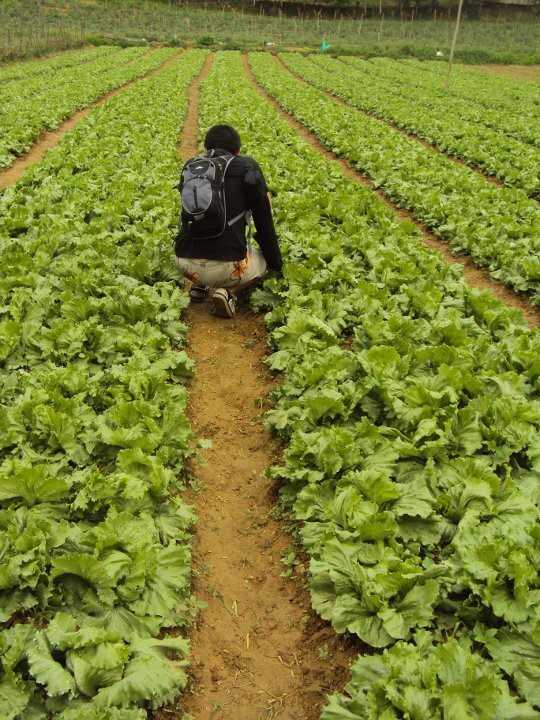 Why can’t our farmers be as rich as the ones in the US? Through his Kumprahan SuperMerkado, the Filipino Farmers will definitely have a better future! 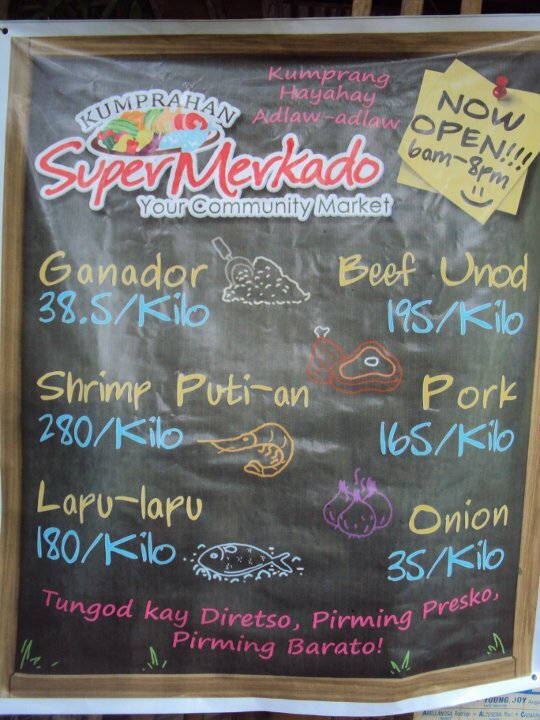 "Kumprahan Supermerkado" is a community market that aims to cut the middlemen. Although it sounds harsh and disadvantageous to these middlemen, but we have to look at the bigger picture and set aside competition for cooperation. Kumprahan SuperMerkado plays a big role in helping our local producers and at the same time creating a self sustaining communities that will serve our collective needs. Through Kumprahan SuperMerkado, it adopts an open-door policy for local producers who want to sell their goods directly to consumers minus the hassles of negotiating with middlemen. 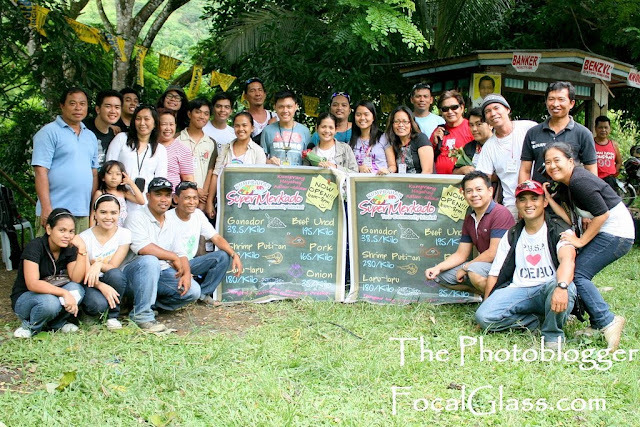 We first arrived in our first stop which was Sudlon farm of the Farm Tour with Kumprahan SuperMerkado. The place had vast tracks of land filled with vegetables, tomatoes, lettuce, and on some places flowers. While the tri-media where doing there interviews, we listened. 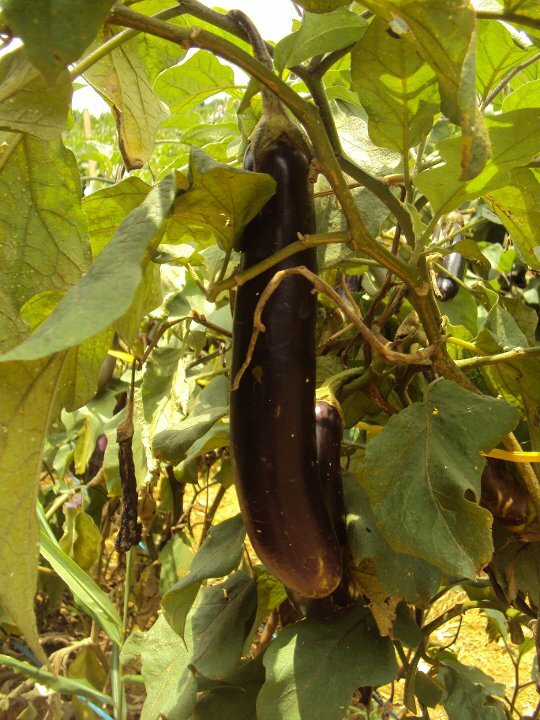 One of the major demands and opportunities for farmers could possibly be attributed to Koreans who are looking for these vegetables. (Koreans, Kimchi, Restaurants..etc). Farming..oh my bad..well Farm Photography anyone? 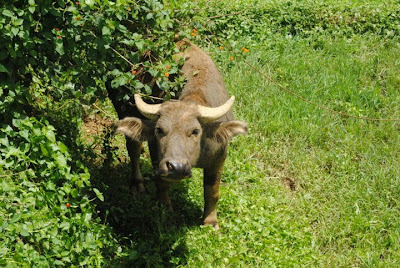 On the farm tour, I noticed in the farm is the use of traditional methods of plowing the fields. 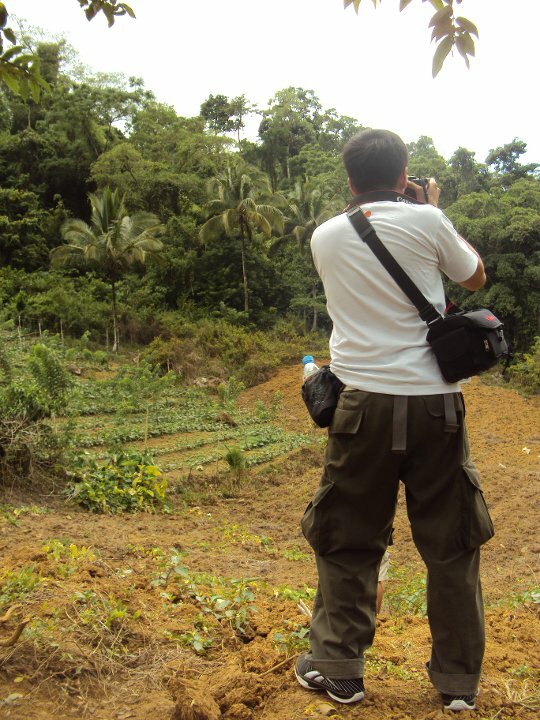 Philippines is supposedly rich in Agricultural resources, but our technology still lags behind. Let's hope that the government and PNOY will be able to do something about this and support Kumprahan SuperMerkado. The Kumprahan SuperMerkado at the Bridges Town Square in Alang-Alang, Mandaue City is an innovative community store. It is the first community market in the Visayas and Mindanao that sells fresh products at mercado prices, yet at the convenience of a mall supermarket. Kumprahan recently organized a “Grand Farmers’ Day”, wherein customers bought their rice, vegetables, fruits, and meat and poultry products at farmgate prices directly from the farmers themselves. “Grand Farmers’ Day” was aimed at giving the farmers the opportunity to earn more and the public the opportunity to buy directly from the farmers, thereby eliminating the middlemen – who control the prices- out of the picture. Due to incessant public demand, “Grand Farmers’ Day” became a “Grand Farmers’ Weekend” event at Kumprahan. Kumprahan Supermerkado now aims to establish itself as a “bagsakan” for organically-grown and organically-raised produce in Cebu. 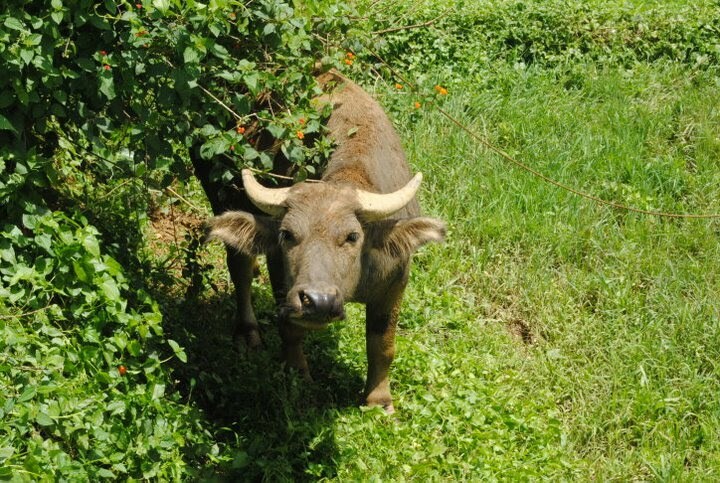 The tour covered three farm cooperative beneficiaries of the Philippine Business for Social Progress (PBSP) in Sitio Cantipla, Tabunan, Cebu City, along the Transcentral Highway. The place is amazing, the farms were cool, the whole project of PBSP is wonderful! But to make this all successful it also needs the cooperation of the consumers to learn how to wisely purchase in Kumprahan Super Merkado (which can be found in Bridges Town Square). "Tungod kay Diretso, Pirming Limpyo, Pirming Presko, Pirming Barato!" Visit and support the Kumprahan Supermerkado initiative, where in consumers and the farmers can benefit the most out of this which shall in turn deliver us with fresh organic produce. You need fresh, good quality and affordable ingredients if you own a food and beverage business or cooking at home!